I see lots of patients who have failed IVF cycles in other clinics . What breaks my heart is the poor quality of medical documentation they have with them . They are very poorly informed , and don't know the dose of injections used for super ovulation ; what the size of their follicles were ; how many eggs were retrieved; or what the quality of their embryos was. This is very disheartening and disappointing for multiple reasons at multiple levels. Firstly, we can use this to revise and tweak the IVF treatment protocol , so that the patient has a better outcome for their next IVF cycle . If you don't have all this valuable information , we end up starting with a blank slate , and have to start from square one , which is a shame . Secondly , it reflects quite poorly on the IVF doctor , that they don't bother to provide such basic information to their patients . Sometimes I wonder why this is so ? Is it that they can't be bothered " or that they don't care ? or are too busy ? or don't think it's valuable to share this information with the patient ? It's hard to answer some of these questions , but I think if IVF clinics don't provide this basic information, all IVF clinics in India will start getting a bad reputation , which is going to hurt everyone, because patients who have burned their fingers will start thinking all IVF doctors are equally incompetent and inefficient. Similarly, referring doctors ( family physicians and general gynecologists ) are going to start doubting how good the care provided was, when the IVF cycle fails. 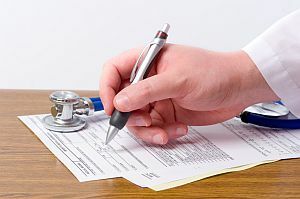 While it's admittedly hard to judge the quality of care provided by another doctor , good quality documentation usually correlates well with the quality of care. When a doctor does not know much about a particular clinic, if he has documentation which shows that the IVF clinic met basic standards, he can reassure the patient that he is in good hands ! The final reason is that patients don't demand this information , and because patients don't bother, doctors can get away with not providing this. Patients should start becoming more proactive in demanding this information - and should do so even before the cycle starts ! If this does not happen, it's very unlikely that doctors will improve their habits. After all, if you can get away with not doing something, then why do it ? This is a shame , because providing good quality documentation is good for the doctor as well. It documents that he has provided good-quality care , so that even if the cycle fails , the patient has peace of mind that the doctor was a competent professional, who did a good job . This is important for the patient's peace of mind, because they are confident that they've received good quality care . It's helpful for the doctor's professional reputation as well. Even if the cycle fails, his image as a good doctor remains untarnished , because other doctors looking at the documentation can see that he has done a competent job . If this critically important information ( for example, photos of the transferred embryos is missing), a colleague may start wondering if the IVF doctor messed up ; or if he has something to hide ! Remember that when an IVF cycle fails, the patient will start seeking second and third opinions - and IVF doctors who do not bother to provide good quality documentation will end up damaging g their reputation - you cannot fool all the people all the time ! This is why providing good quality documentation for IVF cycles is so important. This is something which doctors to routinely for practically everything else - whether it's an appendectomy, a hysterectomy or a laparoscopy . It always amazes me when they use such different standards in providing IVF care !